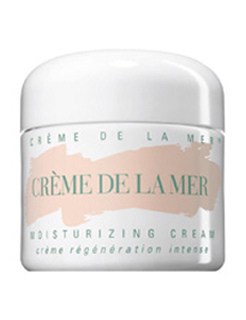 I have been using Crème de la Mer (hereinafter referred to as CDLM for brevity!) products for about the last ten years now; starting out with just the Crème (back when there was just THE CRÈME, or THE MOISTURIZING CREAM as it became known later) and then gradually moving on to more or less a full range of CDLM products up to this point. I have recommended this range to friends and family of mine who were cynical, but who are now also converts. I started using it in my early twenties, but I would say that I probably didn't need to start quite so early. While writing a post on a recent Lancôme Visionnaire trial, I spent some time on the "back story", or the products that I've been using up until now, which included a lot of CDLM products. This information didn't make the cut on the other article as it was a irrelevant there, but rather than throw the information out, I decided to write a quick post here about these products and give a whistlestop impression of each. 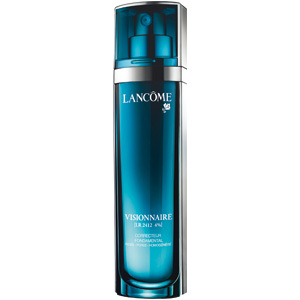 I've been trialling Lancôme Visionnaire for the last three and a half weeks now, and I'm due into the Lancôme counter to reveal my findings during the week (a move designed, I suspect, to co-opt me into purchasing some more Lancôme products, but that's the way these things work). This entry is a particularly long-winded tex-heavy discussion of my usual skin-care routine, and what I found while trialling Visionnaire over a four week period. I have quite a lot of eyeliner brushes. Someone lately asked me which one I would recommend, which started me thinking. I would have thought I didn't have a particular, specific, "favourite" eyeliner brush. I tend to favour one for a while, then I reach for another, and that one becomes my favourite for the next while. Which is no harm I guess, because it means I'm using them all, as opposed to just "collecting them". And it means that I can pick up any vaguely liner-related brush and make it work (as opposed to a few years ago, when I started out my Adventures In Makeup, and I could only, and barely only at that, use One Particular Brush*. Back at the time, this was the one thing I had to work hard at. I still practice. Today I want to write about two things, Chanel and friendship. Well, in one or the other order. I have recently been ogling the new Chanel makeup brushes. I already had just a couple of the older brushes; the Concealer Brush (#8) (reviewed below) and the Contour Face Brush (#5). One of the most asked questions from makeup enthusiasts is What is the best dark matte black eyeshadow available. Not dark brown, not charcoal, not dark grey... black. "Priests Socks" black, as we call it here in Ireland. Deepest darkest blackest black. The kind that really doesn't reflect any light back from it. Darker than coal black... black as the ace of spades... black... oh, you get the idea. This has become somewhat of a quest for me, and I've spent considerable time (not to mention cash) researching, purchasing, using... So why not share the results... What I've done here is to swatch all (actually, just "most of") the matte black powder shades I have, ignoring the handful of cream/liquid/mousse formulations, and leaving metallic and/or frosted and/or duochrome blacks aside also; just the matte blacks for now.